We all have an aura around us – an electromagnetic field of energy. Through Kirlian photography we can see this energy field as colours based on the frequencies of our energy. When a person is confronted by a selection of colours e.g. a set of coloured oils, or even clothes in their wardrobe, they are immediately drawn to the colours they have in their own auric field. The Hindu chakra system links colours to various parts of our bodies, from red at the base of the spine (the lowest frequency) to violet at the crown on the top of the head (the highest frequency). Therefore, the colours that people chose give us a wealth of information as to their strengths and the challenges they may facing on physical, mental and emotional levels. Colour Mirrors is a colour system using the psychology of colour to help you reach your full potential. It was created by Melissie Jolly in South Africa in 2001 and uses coloured essential oils and sprays as colour therapy. The coloured bottles you are intuitively drawn to reflect back to you your talents, gifts, personal power and the truth of who you really are. At the same time, your choices will also reflect specific patterns of behaviour that could be sub-consciously stopping you having love, health, happiness and abundance in your life. 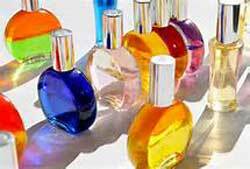 Colour Mirrors bottles are not a conventional therapy product. They are an energised system that uses oil and water to hold the information we need in order to heal ourselves and develop spiritually. They work in various ways to give us the information that our soul has been trying to give us for the longest time. Previously we were not always able to read the signs and clues given to us by our soul and follow the guidance offered, so we have tended to get stuck in our lives. These bottles REVEAL to us what we need to do and who we really are! When we are drawn to connect with colour we are finally ready to listen and make powerful changes in our lives..
Melissie says: "Above all, the bottles are made with a very high intention. Energy follows intention and the intention is for healing to happen in whichever way the soul is ready to receive it." 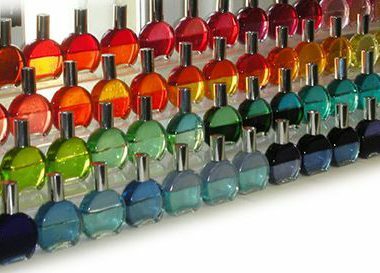 You can add the oils & water of the Colour Mirrors bottles to your bath or shower, rub it on as body oil or simply hold the bottle and breathe in the colours. You can also meditate with them or place them on any part of your body you feel drawn to do so. With the spray bottles, you can spray them into your hands, rub them together to release the aroma and gently breathe in the energy. You can also spray them around your space, on your pillow or add them to your bath. Using these bottles will give you a deep insight into who you really are, help you fulfil your true potential, shift any blocks or fears you are holding in your body and enable you to experience the joyful life you deserve. As a qualified Colour Mirrors teacher, I offer a variety of readings face to face and on-line, as well as teaching this amazing modality. I look forward to sharing your wonderful colourful journey of self-discovery. A variety of readings are available, these can be based on your date of birth, your name at birth and any name changes as well as general readings based on current life issues. The colours and numbers you pick WILL reveal the answers!